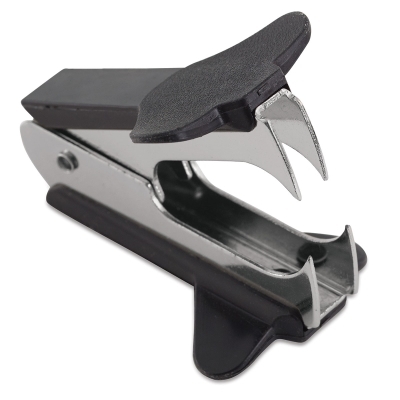 Remove staples easily without tearing your paper with the Officemate Staple Remover. It's made with quality nickel-plated steel and a recycled plastic handle that's easy to grip. Perfect for your home, office, or classroom, this staple remover operates quickly and efficiently to get the job done. ® Officemate is a registered trademark.